While unstructured play can be rewarding in teaching kids independence and problem solving skills, structured play also has its benefits for child development. Structure play will teach children how to play by the rules, be a team player and a good sport and they strive to meet goals. 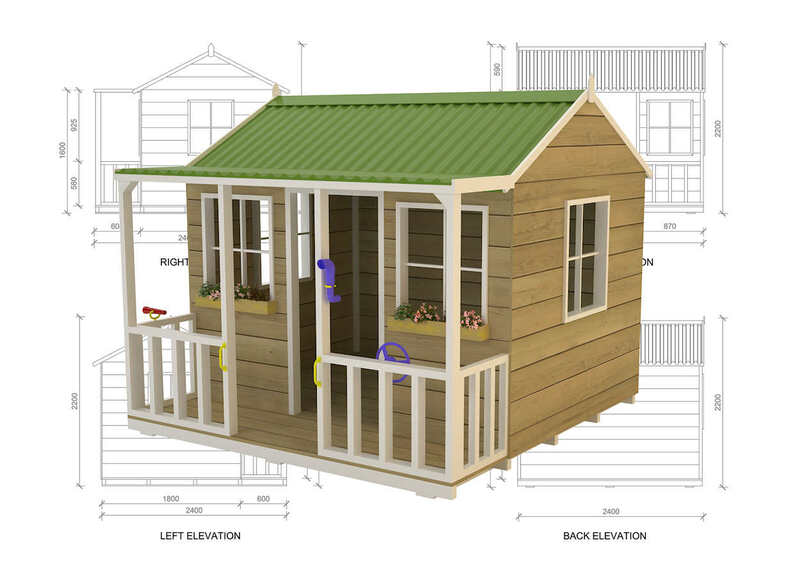 A cubby house from CubbyKraft can help! You can help your kids with these lessons by creating some structure play games using their cubby house and fort backyard play areas. Just think of the fun your kids will have playing these games over and over again. You can tailor them to your children’s ages and have special games for when groups of friends come over. Why do structured games help kids develop? Kids learn to play by the rules when they play structured games. We have to live by rules every day of our lives. Kids learn how to do every day things through play. So, setting up the rules, making them clear will get your child learning what rules are, why we have them and how to follow them. Don’t worry too much if they aren’t good at remembering the rules of the game, gentle reminders will help them learn. Kids learn how to be a team player when they play structured games. They will learn who is on their team and how to help team mates out. Kids learn how to be a good sport when they play structured games. Win or lose children need to learn how to do these things gracefully. Kids learn how to strive for goals when they play structured games. Setting a goal and working towards it teaches immeasurable lessons for kids… even if the goal is a simple one like getting through a hopscotch board without tripping. Even in smaller yards, you can have great fun running a family backyard Olympics! Designate certain areas for sports in which all family members can participate and compete. Examples include badminton, croquet, bocce ball, horseshoes and Nerf ball. Use your cubby house or fort for an obstacle course or as the awards staging area. For younger children, create a hopscotch pattern on the deck of your cubby with chalk or masking tape. Don’t forget to do some of the performance art activities like dancing and gymnastics that encourage imagination and agility. If your cubby has a sand pit, add sand art to the activities. Your kids will love running up their slide and down the rock wall and back the other way when you set up an obstacle course for them to play with. Use the whole backyard and give out prizes too. Split the family and play as teams if you have older and younger children.